Before we moved last year, we were a good thirty minutes or more from the closest Trader Joe's so I hardly ever got over there. But from our new house there is a Trader Joe's about ten minutes away, and I find myself dropping in there at least twice a month (maybe more). I have a love/hate with this place though. The hate is that I like to be able to grab everything I need for the week all in one store, and for me, Trader Joe's doesn't make this possible. The love, however, is that they have some really delicious food items that you can't find anywhere else and they also have really good prices! Does anyone else feel like this about Trader Joe's or is it just me?!?! Both the riced broccoli and riced cauliflower are big hits around our house. 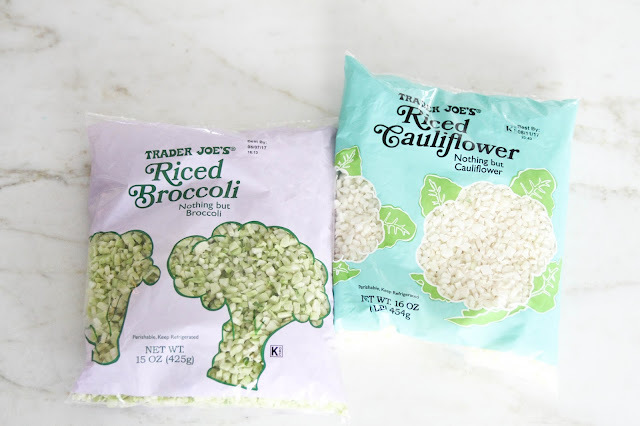 I often use them in recipes that call for a white rice or pasta and they always turn out delicious, not to mention, they're so much healthier. This one is definitely another hit! And it's not super spicy so both of my kids will actually eat this one. 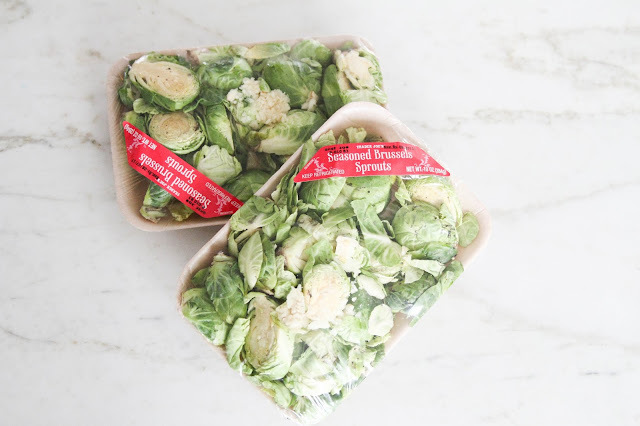 If you are a fan of brussels sprouts then make sure you pick these up on your next TJ visit. They are a life saver when you are in a rush. All you have to do is pop them on a baking sheet and toss them in the oven. 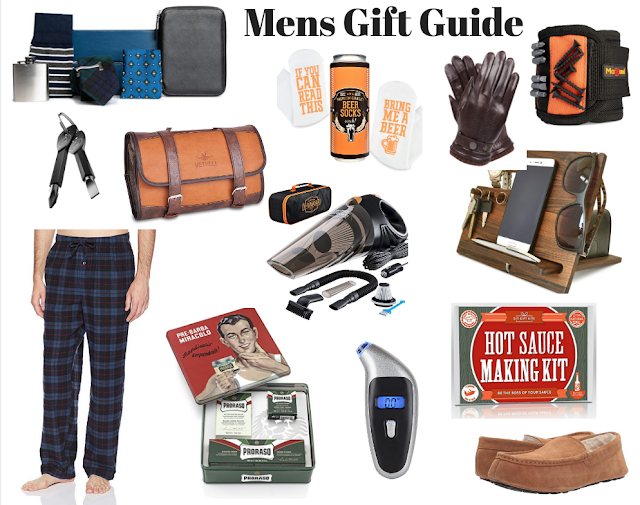 Yes, yes, and yes on this one! This flatbread is so GOOD y'all, and it's perfect to slice up in small bite size pieces for parties. 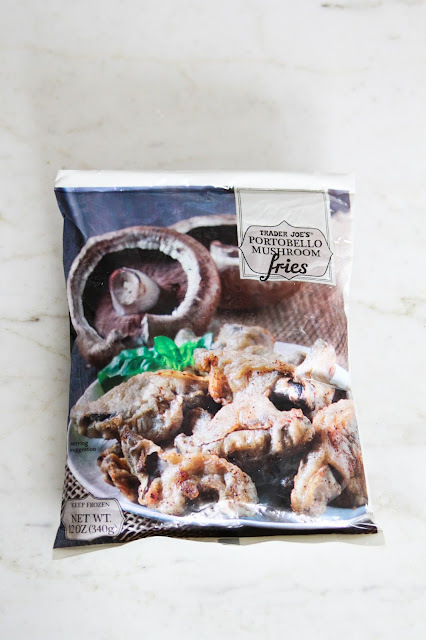 I absolutely love portobello mushrooms so I thought these were going to rock my world, but sadly, they were a big miss for us. Whether you spray your pan or not, the breading sticks to it, plus, no matter how long you bake them half of them still come out mushy. Even though I heard good things about them, sadly, these pancakes were another miss for our family. I didn't think they tasted good at all and my kids agreed. To me, they had no flavor and the texture was rubbery. Needless to say, I will not be buying these again. 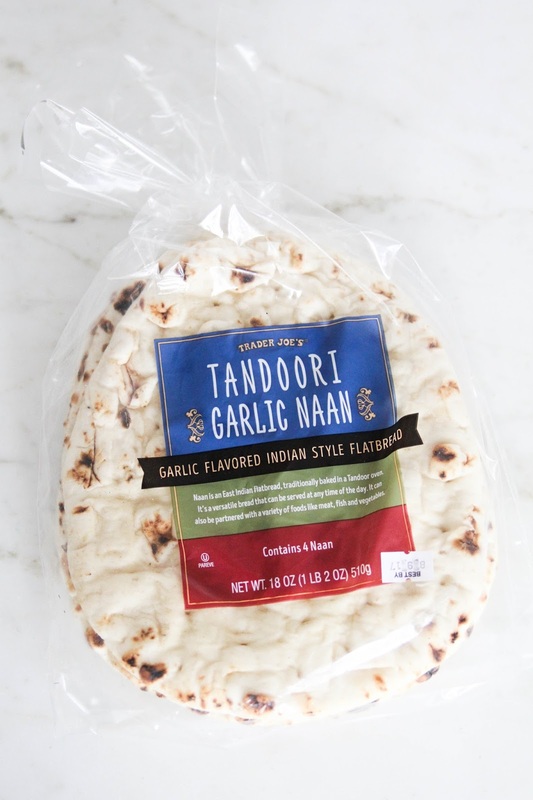 Hands down my favorite naan flatbread. The garlic flavor is so delicious, and they are always so soft and fluffy. We love to use them to make pizzas on the grill. 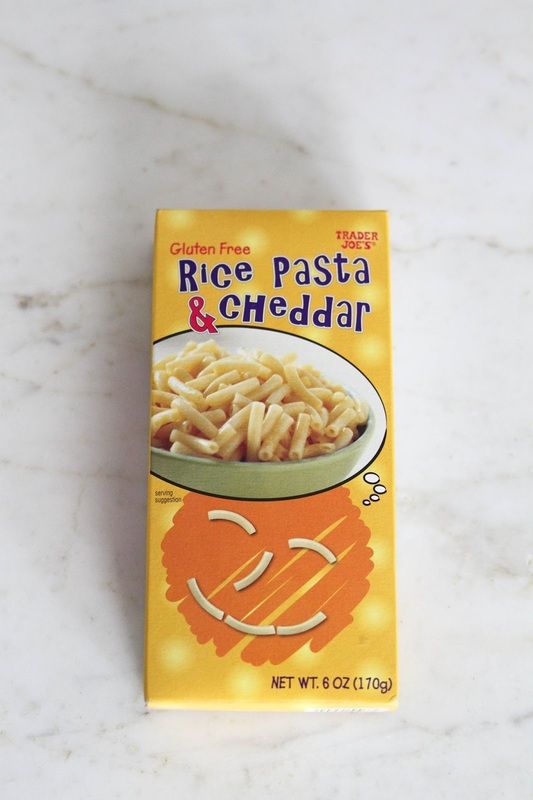 This "macaroni and cheese" is a HUGE HIT around our house! Even if you aren't gluten free, you should pick this one up because it's so good. The pasta is soft without falling part and the cheese flavor is the best you will find from a box. Okay, that is all I have for this time, but if this is something you guys would like to see more of, please leave me a comment below and let me know! 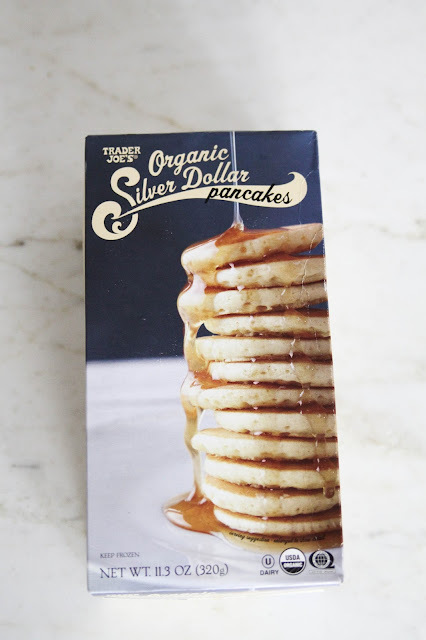 And I would LOVE to hear if you guys have any Trader Joe's favorites that I need to pick up on my next trip!! 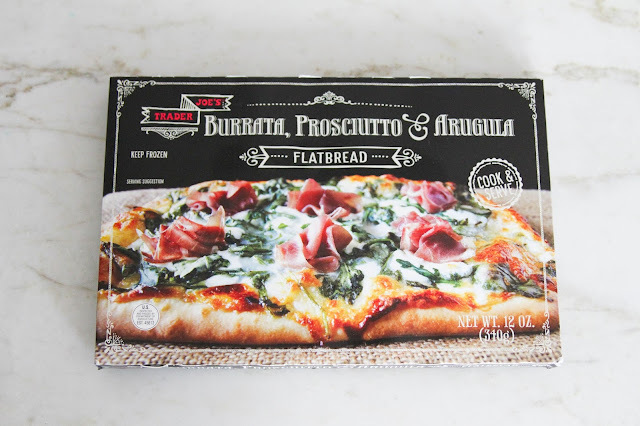 Their gfree mac and cheese really is the best and I have to pick up that flatbread to have on hand! LOVE this! I need to get my behind to TJ's! We love the TJ curry sauces. My kids liked the yellow one as it is more mellow. We use chicken as a protein and add little toppings like sliced bananas, yellow raisins. Not so healthy but you must try the Mandarin Orange chicken -it is phenomenal and in my opinion beats take out Chinese! The sweet potato tortilla chips are addicting! I can't have them in my house or I'll eat the entire bag in one sitting! If your crew likes turkey burgers, theirs are the best by far! Also their turkey meatballs are to die for - bake them and throw them in a bowl with some brown rice and spinach and you've got yourself an easy and healthy dinner! 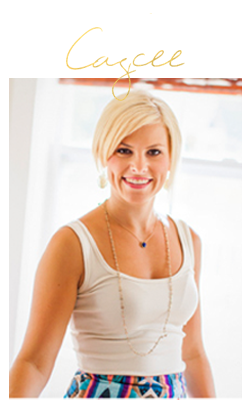 Their yogurt based Kale and Artichoke dip (a healthier version of spinach and artichoke) tastes amazing. So does their basil hummus (kind of like a pestoy hummus - if you like pesto. Also like to use their frozen rice when in a pinch. They also sell frozen zoodles and carrot spirals, which are good to have on hand. I feel the same way about Trader Joe's! They have some really great stuff and good prices on produce, but I hate having to go to multiple stores to get everything I need. Their cauliflower pizza crust is the BOMB.COM!!! This is prob. one of my favorite posts you've done LOL I always feel so lost in that store so seeing your favorites will really help me at my next trip! Thank you! 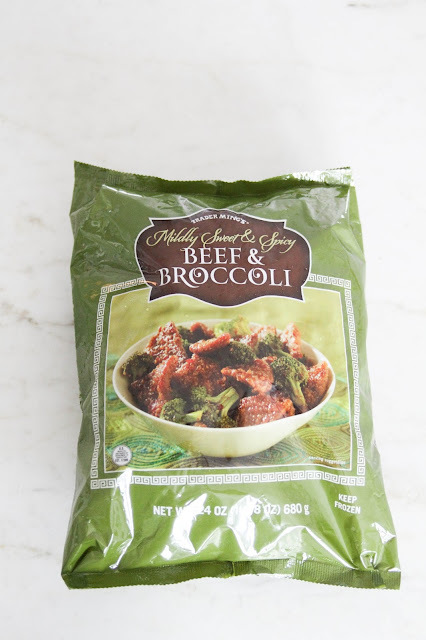 I would love for you to post some of your riced broccoli and cauliflower recipes! Also, try TJ Frozen Polenta with spinach and carrots- it's an easy staple to have on hand.